Red Dream is a very compact low growing variety of evergreen Escallonia with deep red flowers throughout summer. Masses of crimson-red tubular flowers will appear from June to September above glossy, dark green foliage. 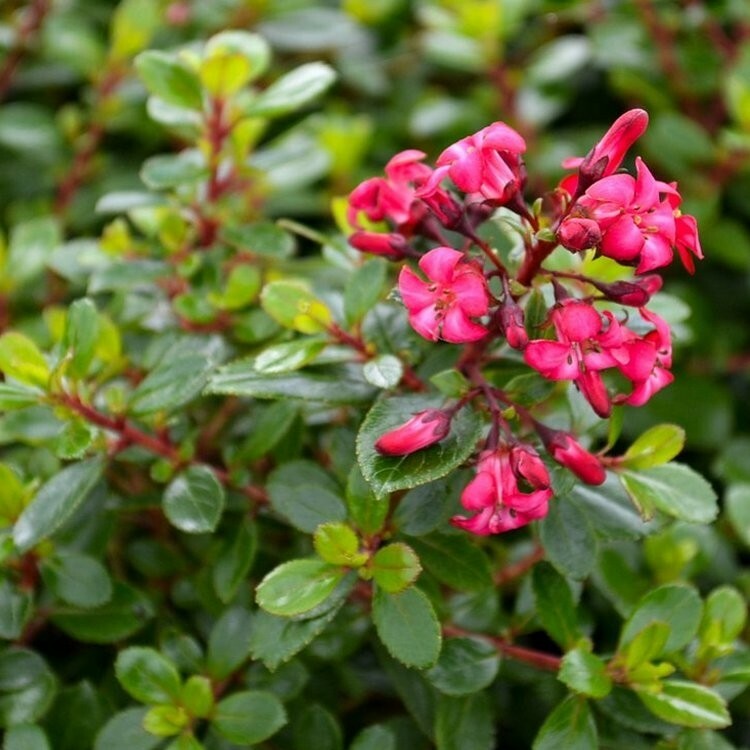 This compact, bushy, evergreen shrub is ideal for a sunny, shrub border or for growing as an informal, flowering hedge. It is particularly good as a windbreak in coastal areas, or used en-mass for evergreen ground cover in landscaping projects. Perfect for a little winter structure in a mixed shrub border.